In the Phillipines, a little baby was born. But Danica Camacho isn’t any ordinary baby. This innocent child has become a symbol for what Swedish Professor in World Health Hans Rosling is calling ‘the beginning of the end’. Although impossible to accurately calculate, Danico has symbolically been labelled the 7 000 000 000th citizen of Earth. 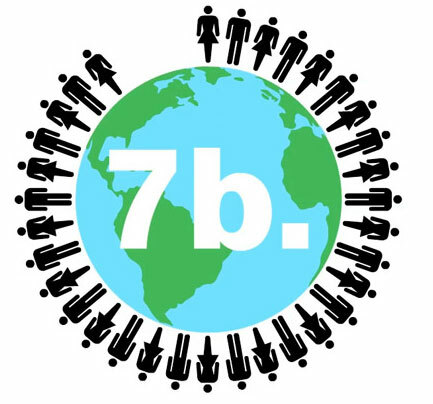 Today, 31 October 2011, the population of the planet has broken the 7 billion threshold. Why does Hans Rosling call it the ‘beginning of the end’? According to him, the number of births in the world is decreasing. And with an aging population, it’s only a question of time before the imbalance in generations becomes unsustainable. And how does this relate to Sweden? Although an aging population might be a problem in Sweden itself, overpopulation hardly is. According to the UN World Prospects Report, Sweden is one of the countries in the world that has the lowest number of citizens per square kilometer. Sweden has 21 citizens per square kilometer, on average. Compare that to the 18,534 citizens per square kilometer in China, or 16,923 in Monaco. The country with the most space is, as you might guess, Greenland, with 0,026 people per square kilometer. This is closely followed by the remote Falkland Islands and then Mongolia. These statistics are naturally an avergae of the whole country, and most populations are intensified around their major cities. The most densely populated city is where little Danica Camacho was born today – the Phillipine capital of Manila where staggering 43,079 people occupy one square kilometer. In Europe, the most dense city is the rather obscure French town of Levellois-Perret. Here, 26,126 people squeeze together in one kilometer. And Stockholm’s population density? A measly 3597 people per kilometer. So next time I’m on the underground and somebody complains about the number of people, or sitting on a bus, they whinge about the annoying amount of traffic, you know what I’m going to say?